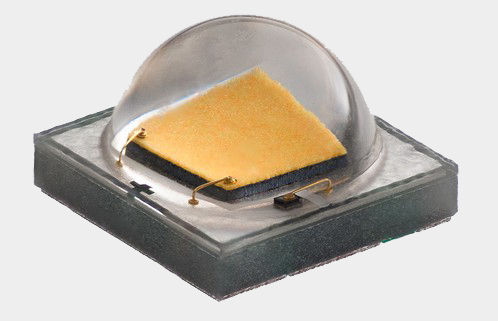 Cree, Inc. sets a new industry benchmark with higher performance XLamp® XP-G2 LEDs. The latest innovation boasts a seven percent increase in brightness compared to the already industry-leading XP-G2 family. The new LEDs provide lighting manufacturers with an unprecedented combination of light output, efficacy and outstanding reliability, while delivering an immediate boost in performance. XP-G2 LEDs are used in a wide variety of applications, including street and area lighting, PAR replacement lamps and high-performance flashlights. The new XP-G2 LEDs now deliver up to 142 lumens per watt at 350 mA, 85°C or 155 lumens per watt at 350 mA, 25°C in warm white (3000K), enabling lighting manufacturers to use fewer LEDs to achieve the same brightness at a lower system cost or increase performance levels using the same LED count and power. Cree is also announcing the availability of 6,000 hours of LM-80 long-term testing data for the XP-G2 LED. This LM-80 data provides TM-21 reported L85 lifetimes greater than 36,000 hours, translating to a remarkable 15 percent light loss after four years, even at the maximum current of 1500 mA. In addition, the XP-G2’s predecessor, the XLamp XP-G LED, now has more than 12,000 hours of LM-80 data available. All XP-G data sets provide TM-21 reported L95 lifetimes greater than 70,000 hours, or eight years, reflecting the excellent long-term reliability of the XLamp XP package. The higher performance XLamp XP-G2 LED samples are available now. Production quantities are available with standard lead times.